Keyword marketing is one of the most important skills you need to learn if you want to be successful online. As an online marketer, no matter what type of online business you have, your primary task is to ensure your website receives enough traffic so you can make money. Not everyone who comes to your site is going to make a purchase, although you can increase sales by making sure your website is set up to get a lot of conversions, so you need to get a lot of visitors. The price of your product, etc. In just a short amount of time you will be able to gauge your conversion rates (the number of visitors who actually make a purchase from your site) and from that point you can determine how much traffic you will need to get every month. In order to get the most out of all your keyword research efforts you should employ several traffic methods. Many online marketing experts agree that you should have from 3 to 5 successful online traffic methods going at all times. It’s not a good idea to try to set up 3 – 5 methods traffic generating strategies all at the same time. If you do it may prove to be an overwhelming task. Instead focus on one method first, do a great job with the first method and then move on to find another. Do this and you’ll generate enough traffic to make all the sales you want to make. Article Marketing is the art of writing unique articles that are optimized with the keywords you’ve targeted for your niche. First and foremost, should be to create content that is of value to your audience. This method is free and easy to do, but on the downside, you will need a lot of articles in circulation to give you any real traffic. For more information read: “What is Article Marketing”. SEO is all about getting the search engines to “see” your website. By placing relevant, targeted keywords or phrases on your website in the right place to stand out to the search engines. Search engines are unique, by that I mean they provide targeted traffic—people looking for whatever your offer is. This method is free and fairly easy, but it can get quite complicated. If search engines cannot find your website, or add your content to their database, you will miss an opportunity to drive traffic to your website. PPC is a method of internet marketing in which advertisers pay a fee each time one of their ads is clicked. Basically, you buy visits to your site. PPC allows advertisers to bid for ad placement in a search engine’s sponsored links when someone searches on a keyword that is related to their business offering. The downside to this method is that it involves a complicated method of bidding on keywords. 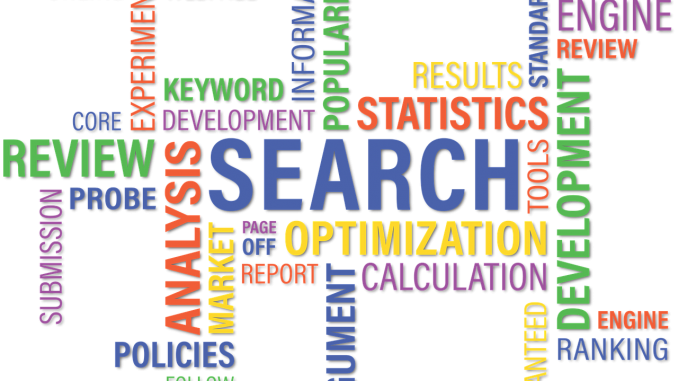 The amount you may have to pay for a particular keyword can vary due to a range of factors such as the quality score your ad has been given by the search engines. If you are planning to use PPC, it’s important to learn how to do it right. If you enjoyed this article, please leave a comment or share your experiences. Thanks for such a nice article. I have been trying to increase my website traffic for about a month now and was not successful yet. I have only tried SEO optimization but was not aware of pay per click and article marketing techniques. Thanks for the guidance. I’m sure going to try out article marketing first as it does not need any investment. Good advice, thanks! I’m currently trying to focus on quality content on my websites, and good SEO. What is your opinion on SEO plug ins? I’ve heard good things about Yoast SEO and All-In-One-SEO (I currently use the All-In-One-SEO). I’ve heard Yoast may be more liked by Google these days. Wondering if you’ve heard of any test cases or read anything about these two? Thanks! I want to get in the PPC however I could not find any good program and actually bidding scares me. Do you have review for PPC program or lectures? If you have any suggestion, I will really appreciate it. I couldn’t agree more and I actually learned a few things reading your article. As a relative newbie to all this I am like a sponge and I am soaking up any and all information I can get. Thanks for sharing this. Great article Gaylene! I find that SEO is the most effective way to get the most out of keyword marketing. Question: do you use several keywords within one post, or do you just target on one? Hey Gaylene thanks for this very informative post. Keyword marketing is indeed the cheapest and easiest way to get traffic to ones site. Furthermore if one is interested in a niche where there is high competition it is ideal for them to use keywords with low competition and as they build out their site and make it engaging and so on they will get ranked under those key words and thus recieve traffic. Hi Gaylene, very interesting article. I am an artist, who runs a yoga and meditation practice. I just started her own website few months ago and still struggle with the concept of the SEO and often fail at it. I was especially happy to read about the optimization of the keywords for adwords! I wanted to try it out, but found it incredibly expensive. I will use your tips to place some ads and see how much extra traffic that will bring me! Guest blogging is the best link building strategy ever, but it’s hard to find sites that will accept them nowadays. Nice tips you got there Gaylene, I agree with Katie Article marketing used to be a good think. Keyword research is vital, what do you think about quality backlinks? I think they are very important as well. Hi Gaylene, thanks for these tips! I like the part about finding 3-5 different methods to get the most out of keyword research. I agree with having a few different methods, and also with not doing them all at the same time. At one point in my online journey, I was trying to set up too many strategies all at once. I soon learnt that this isn’t the right way to do things, so I’ve been focusing on different methods one at a time and it’s been much more successful this way. SEO is one of my favourite ways to do keyword marketing. I create content on my website and target specific keywords and this helps get people visiting my site every day. I’m interested in trying out PPC at some point in the near future. Are there any tips you could recommend before I start marketing this way? Twelve months ago I too was trying to do too many things at once, but I learned to master one skill at a time. SEO is important if we want to be successful online, it is what drives traffic to our websites. In terms of PPC, I would recommend checking out Google adwords or Google Adsense depending on whether you want to create your own ads or promote other publishers ads. These are great tips for keyword marketing. I believe search engine optimization is one of the key factors for driving traffic to your site and getting the much desired rankings in the search engines. A good SEO strategy is vital to optimizing your site and making the search engines take notice of it. I think, though, that article marketing is not as effective as it used to be, considering the new google algorithms. Thanks for this informative post.